In India, until recent times it was usual for women to leave financial decisions to men in the family. Even working women, with incomes at par with the men folk would rarely involve themselves in investments, taxation, insurance etc. This also meant women would rarely get involved in creating assets for themselves. These days women are more aware of a need for financial independence. Individually or jointly with members of their family, women are contributing equally to creating assets including house properties. With inflation eating into savings, it is imperative for every individual to plan and invest their funds optimally. Women too are now taking charge and investing their savings so as to support themselves and their dependents equally. Financial institutions now offer lower interest rates to women and this has encouraged loans to invest in property, gold and businesses. Under current regulations, a joint loan gives significantly higher tax break. 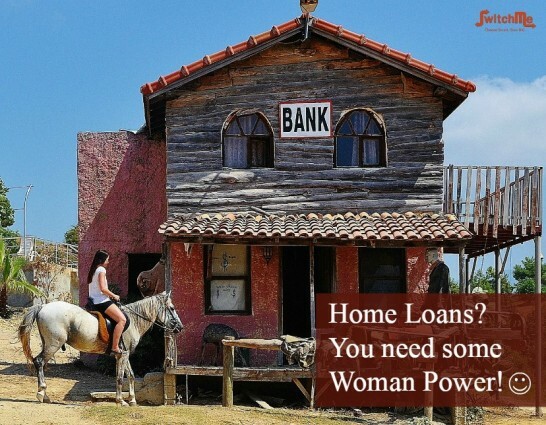 It must be noted, to enjoy benefits of preferential rates, a woman must be the primary borrower or co owner and co borrower of the house property. Since property values have sky rocketed, it helps to be eligible for a higher loan value. If property bought on loan is let out, the entire interest paid, after deducting rent received can be availed as deduction for tax. In this case too, joint borrowing lends to increased tax benefit. Want to talk to our home loan advisor about your specific case? Call +91-8108899980 or Sign Up here for a quick call back. Banks prefer the husband – wife combination most, since it indicates some predictability of financial status about the near future. Parent-daughter and sibling co-borrowing require certain additional ownership and legal conditions to be fulfilled. Financial institutions also look for assurance against any future disputes through discussions and affidavits before approving loans in these cases. As every individual, women should involve themselves in financial discussions and decisions. Through careful consideration of every option available, women and men can create an overall portfolio and a steady asset base for themselves. Sure, we will not call you unless you request it. 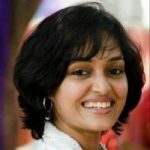 Suma is an MBA in Finance and Marketing from ICFAI, Bangalore. She worked as an investment advisor to retail and high networth clients for nearly 7 years at Allegro Capital Advisors Pvt Ltd. This gave her a first hand understanding of the needs of an individual customer. With this edge, she moved on to Adi FinShiksha Pvt Ltd, where she trained financial advisors to manage their clients' investments and financial needs. With deep understanding of customers and their advisors, Suma then moved on to writing content in the space of personal finance. she is currently working as part of the content creation team at SwitchME, addressing the needs of home buyers and home loan borrowers. Thinking about Home Loan Switch or Buying a Home? "Here's what the world is saying about SwitchMe!" SwitchMe is a registered trademark of SwitchMe Technologies Private Limited. SwitchMe does not claim the right to use any logo/ trademark other than its own. SwitchMe does not represent any other company, bank, or organization in relation to its services. WE WORK FOR YOU AND NOT THE LENDERS. We never share your personal information with others unless required by law. Your information is used only to complete the switching requested by you. We send you updates, promotions and offers but you can easily remove yourself from our email list. But we maintain your records in our archives to readily serve you in the future. Our highest priority is to make sure that your information stays safe and secure. This is why, we take steps to make sure that our servers and your information are completely protected.